Great news out of Washington today as California Senator Dianne Feinstein has requested $5 million for the Crenshaw light rail line and $10 million for the Westside Subway Extension and Downtown Regional Connector. These requests are for next year's federal budget. The FY 2011 transportation appropriations requests state that the Crenshaw line would run from the Expo Line to the Green Line and then a future People Mover train zipping passengers to LAX International Airport. This would mean someone in downtown will be able to take the Expo Line to the Crenshaw Line to the Green Line to the People Mover to their airline without stepping foot in a car. 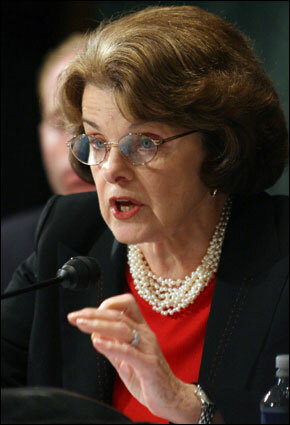 We won't know until October if Feinstein's funding requests will make it into the federal budget. The funds have to be approved by Congress before the money starts flowing. The Crenshaw / Los Angeles International Airport (LAX) Light Rail Project is an 8.5-mile extension between the Expo Line (under construction) and the existing Metro Green Line. The extension will serve the cities of Los Angeles and Inglewood and will include at least six new stations. This connection would enable transit riders to access both downtown Los Angeles and the Westside, relieving congestion and improving mobility. This project connects to an Automated People Mover planned to be constructed at LAX. This is a valuable use of taxpayer funds because it will extend public transportation to key hubs of employment, residency, and throughout greater Los Angeles, while also providing convenient access to and from the country’s third busiest airport. The Downtown Regional Connector is a 2-mile light rail connecting three existing lines at their downtown stations, providing a final link of 50 miles of light rail service throughout Los Angeles. The Metro Board has paired this project with the Metro Westside Extension, which will extend the existing subway system over nine miles into Beverly Hills, Century City and Westwood. The Westside is one of the major job centers of Southern California, with more than 150,000 jobs in the areas to be served by this new subway. Ridership forecasts anticipate up to 116,000 new systemwide boardings daily by the year 2030. This is a valuable use of taxpayer funds because it will extend public transportation to several key hubs of employment, residency, and education throughout greater Los Angeles, promoting the use of mass transit, taking cars off of the road, mitigating congestion and improving air quality.